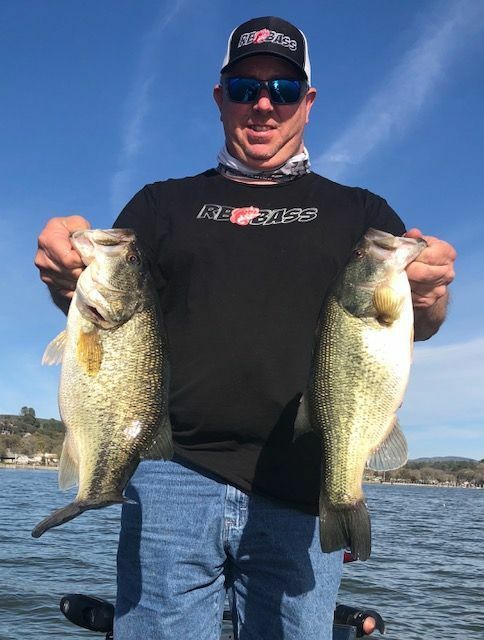 Fished Folsom with my friend Steven Rodriguez. Went out of Granite Bay at 9 a.m. with water temp of 52 and water visibility of about 3 ft. Ran to Doton’s point and worked our way up to the Beeks Bight area. Caught a couple small fish on the Lucky Craft Pointer SP. Moved further north past Anderson Island and found water temp of 54/55 and visibility of 1 ½ ft. The wind was calm in the morning but by this time was gusting 15 to 20. Working the wind blown points with mud lines we caught a few more fish using the rip bait, a shad colored vibrating jig and a 3/8 oz. brown on brown jig. Went back south thru the Rock Gardens and into the Peninsula Campgrounds. 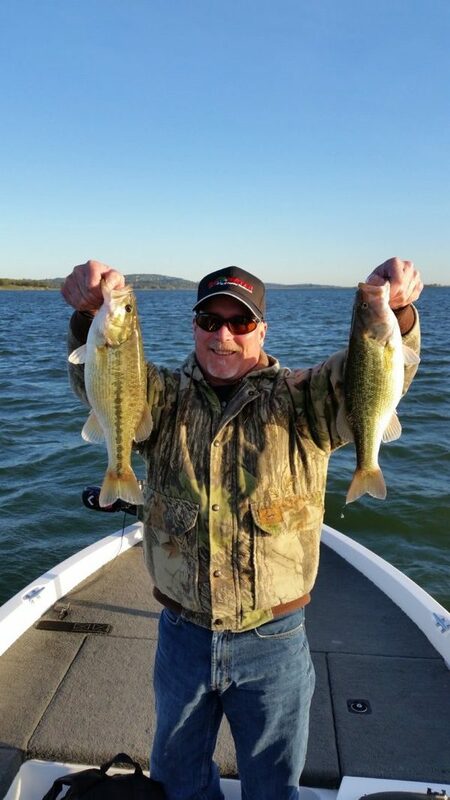 Ended the day with a small limit anchored by Stevens 3# fish caught on the vibrating jig. Fun but tough day. Wind made it a challenge.